“The challenges for Chinese enterprises to succeed in managing BRI projects is not showering the dollars and yuans, but winning hearts and minds,” a China research fellow at London-based think tank Chatham House told the South China Morning Post in a bombshell full report detailing how Beijing has entered an "unprecedented limbo" on a stalled expansion project on the famous and ancient Port of Piraeus in Greece. It illustrates an emerging trend in other Belt and Road Initiative countries: all the money in the world can't overcome local and cultural realities, and if Beijing plans to ride roughshod over these in hunger of its broader ambitions, President Xi's grand initiative is sure to die on the vine. Cosco Shipping — the China state-owned Shanghai based shipping and logistics services conglomerate — has been operating Piraeus port for the past decade, but local authorities have now banned the company from pursuing a planned expansion of port facilities due to archaeological concerns, halting a €1.5 billion (US$1.7 billion) long term expansion deal with the Greek government which included construction of a sprawling mall next to a new cruise ship terminal, as well as a five-star hotel in port's southern section. 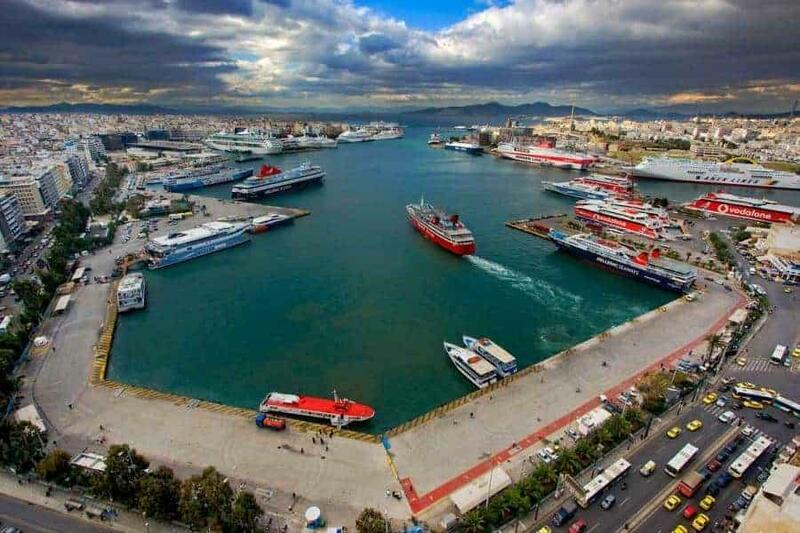 The broader makeover was a planned first step in creating a so-called Athens Riviera — but which now faces endless bureaucratic obstacles amid local fears China is playing an outsized role in Greece. Last week the Greek Central Archaeological Council unanimously turned down major key aspects to the project, citing potential damage to local heritage and archaeological preservation projects, as well as environmental concerns and “aesthetic” reasons. Crucially, the council effectively declared half the town as an archaeological site, bringing to a halt Cosco's further plans to construct a new cruise passenger station, a logistics center in nearby Keratsini, four new cruise berths at Pireaus, along with a new berth allocation system, according to the South China Morning Post (SCMP) report. 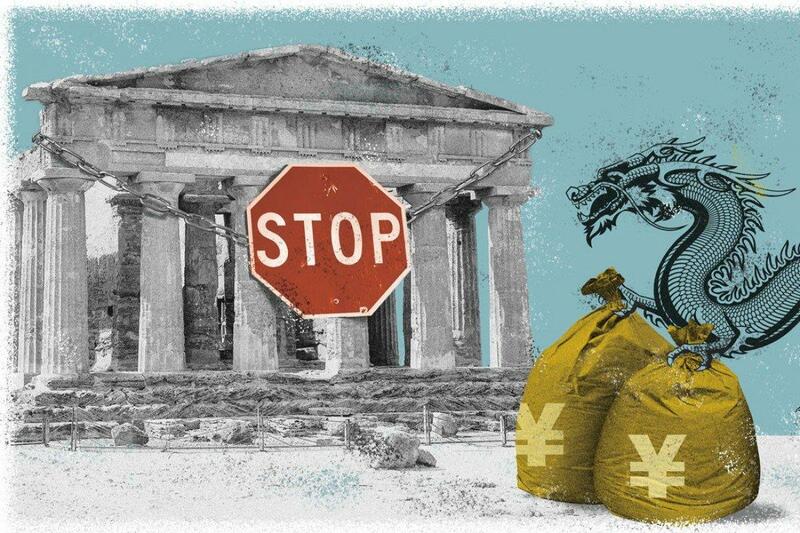 Ironically, the SCMP observes, "while Greece’s heritage was once an attraction for the Chinese leadership, it may now prove to be a stumbling block for their ambitions." Though Cosco's management of Pireaus predates Xi's BRI plans (Cosco has a 51% stake in the port), China's success in Greece could convince skeptics concerning Beijing's role on the European continent. But it now appears the skeptics are winning, given Cosco will now face much stricter regulations for any expansion due to the extension of the archaeological zone, even as Greece's leaders lobby for more foreign investors aimed at recovery from a nearly nine-year economic and austerity crisis. It's further believed that opposition elements within PM Tsipras' own Syriza party are working against him to block major foreign companies from gaining too much of a stake in Greece. But now, after last week's Central Archaeological Council decision, which made Cosco executives "furious" according to some reports, obstacles and red tape are mounting given that "Even projects that had already been approved had to be referred to the Ministry of Culture, the Central Archaeological Council and the Central Council of Modern Monuments for reauthorization," according to the SCMP. Moreover, the whole episode underscores Beijing's overly optimistic approach to BRI-related expansion generally, given the tendency to operate on the assumption that a population's deep cultural roots combined with local politics can ultimately be overcome with the lure of multi-billion dollar investment. 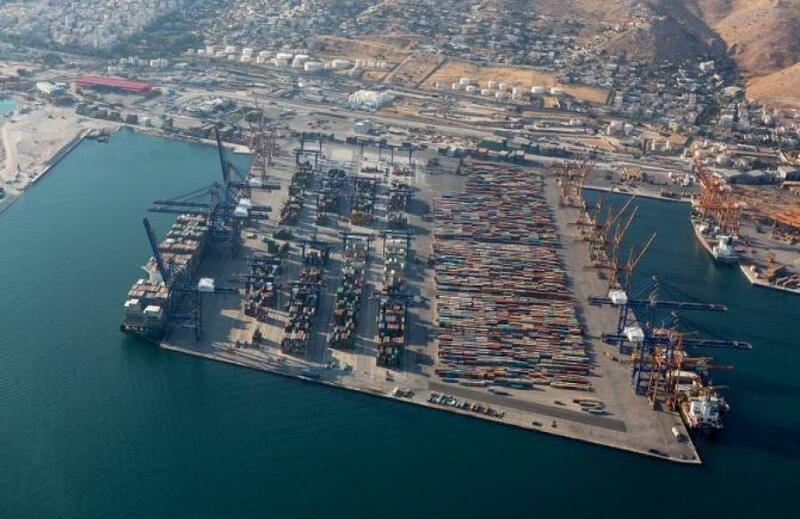 Initially, Cosco faced very few permits, according to Greece's Ekathimerini newspaper, and was on its way to surpass Valencia in Spain for becoming the Mediterranean's busiest container terminal. 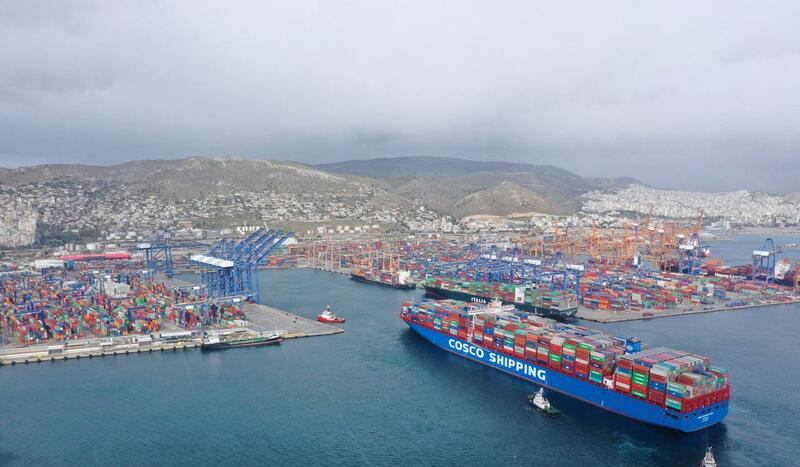 Cosco considers the expansion projects and interventions as necessary for Piraeus' continued operation at such levels, as well as a crucial future link in the so-called new Silk Road linking Europe and Eurasia.